SpiderOak is a renowned cloud storage service, a free account lets you upload upto 2 GB of data to cloud, all you need to do is to install Spideroak client on your desktop, smart phone or laptop and it will keep synchronizing your specified data from your local machine to online cloud server. Backups are extremely important and such a free app that can automate the backup process is no less than a blessing. 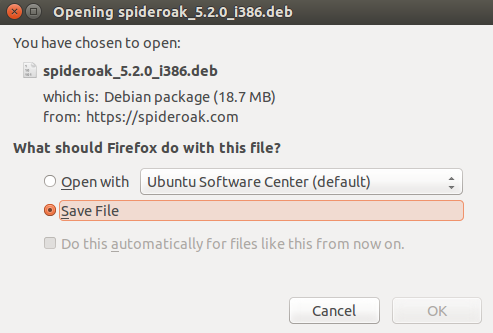 In this article, we will review Spideroak prominent features and its client app’s installation steps on ubuntu Linux 15.04. This small app offers great ease when speaking of backups, easy to install and use, here are some of the prominent features of this application. All of your important data is available on one cloud storage and in de-duplicated manner. Preserves historical data like deleted and updated files etc. Easy to retrieve your online data from any online device. Ability to add any number of devices to your online backup account. Using combination of both AES and RES for encryption and secure transfer of data. 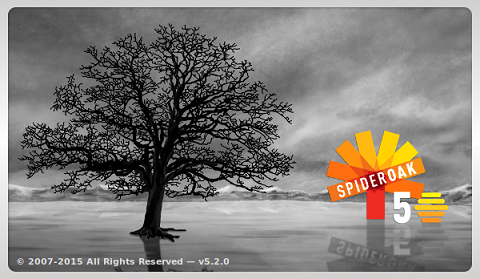 Spideroak client can installed easily, first of all download the spikderoak client from its Download page, choose 32-bit or 64-bit installer depending on your operating system architecture. 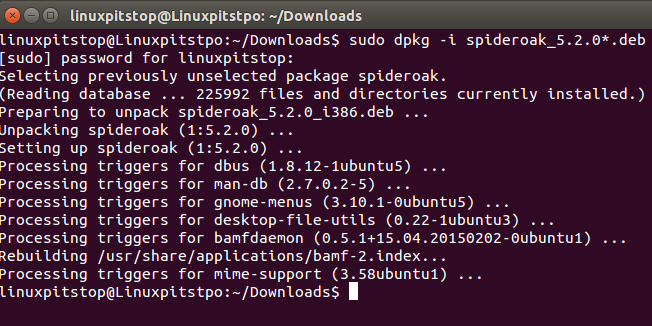 As soon as download is complete, launch your terminal window and go to the download location and run following command to install it. Congratulations, your desktop client has been installed. 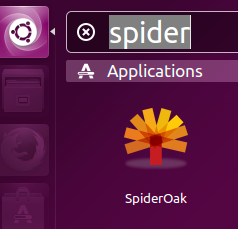 Launch it from Applications >> Spideroak option. There you go, it will take few seconds on the very first time launch to perform some background configurations. 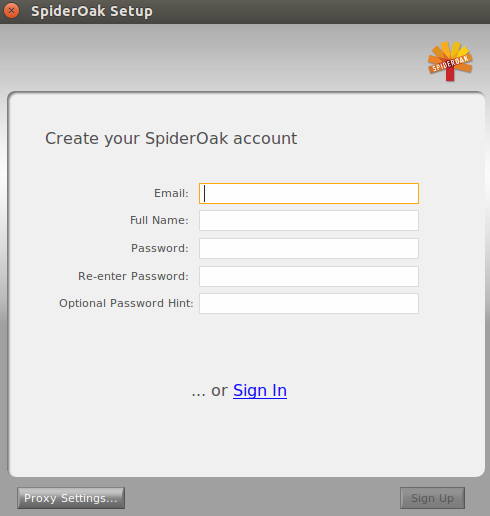 Here is the very first screen you will be seeing, If you haven’t already signed up for free account, you can do it from here as well, otherwise choose “Sign in” option and login with your Spideroak credentials. There you go, automate your important data backups from this eye candy, user friendly graphical interface.